private collection; acquired by the previous owner from Robert Hales, London. 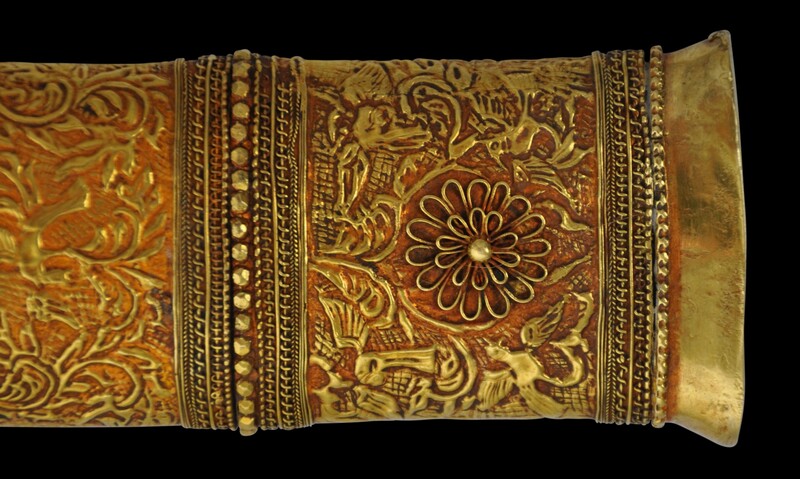 This Burmese short dha (or dha-hmyaung) has a plain ivory hilt, a gold collar and a scabbard encased in high-carat, solid-gold sheet that has been embossed all over with fine foliage inhabited by birds, and stained red with tamarind juice. 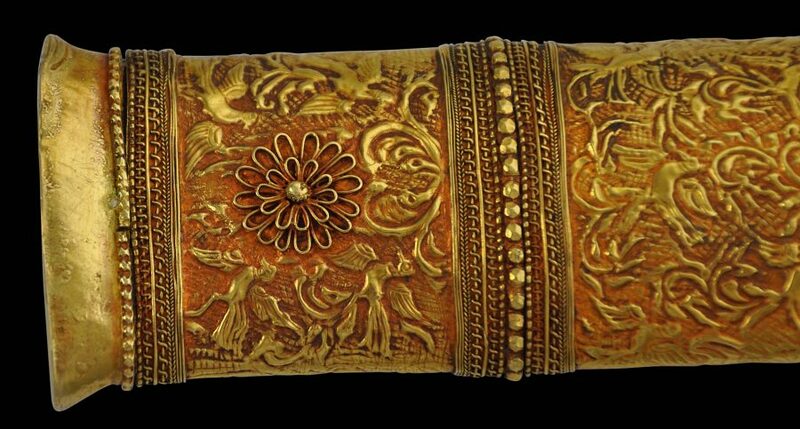 The lowest section of the scabbard is decorated on both sides with applied gold filigree flower heads. The hilt and scabbard are in fine condition and without losses or dents. The blade has some pitting. Illustrated: Hales (2013, p.: 17): private collection; acquired by the previous owner from Robert Hales, London. Hales, R., Islamic and Oriental Arms and Armour: A Lifetime’s Passion, Robert Hale CI Ltd, 2013.